In 1915 worshipers saw the need for another African Methodist Episcopal Church in the growing metropolis of Houston, Texas. The vineyard was ripe for the work of our Lord and Savior Jesus Christ and for those and for those who would step out on faith to start a new congregation. South Wesley African Methodist Episcopal Church was born and organized out of Wesley Chapel A.ME. Church located at 2209 Dowling Street. It was in 1915 when the Rev. D. G. Gross, Rev. T. W. Walls, Rev. B. F. Grovey, Rev. W. M. Jenkins, Rev. H. C. Calhoun and other interested and faithful members began to organize the church. In a rented house in the Third Ward area of the city, South Wesley held on to the A.M.E. spirit and theme “GOD OUR FATHER, CHRIST OUR REDEEMER, MAN OUR BROTHER” and began organizing its Steward, Stewardess, and Trustee Boards along with other organizations and auxiliaries. The Rev. H. C. Calhoun donated the first property on the corner of Anita and Burkett to build an edifice and parsonage. He served as Minister for a number of years, and with the help of South Wesley members, built the structure. The following ministers succeeded Rev. Calhoun: Rev. D. D. Sampson, Rev. H. L. Boyd, Rev. H. Goodwin, and the Rev. G. L. Coleman. After these ministers, Rev. Calhoun was once again appointed to South Wesley. Additional pastors that served the church were Rev. D. E. King, Rev. C. I. Dawson, Rev. I. G. Greene, Rev. W. T. Perry, Rev. W. W. Wilson, Rev. J. T. Simpson, and Rev. T. Thomas. The membership increased and the mortgage on the church was burned September 9, 1945. A new edifice and parsonage was built on the same site of Anita and Burkett and the membership continued to grow under the leadership. The building program continued, adding a Hammond Organ and other church furnishings. 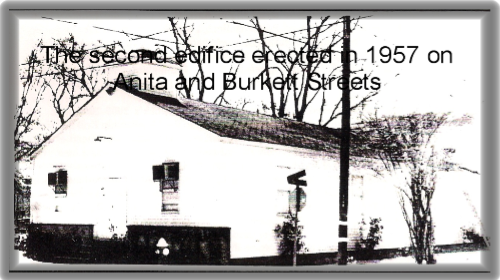 In 1962, South Wesley came to the realization that the location on Anita and Burkett was not to be their permanent home. The church site was foreclosed upon. After the foreclosure, Wesley Chapel A.M.E. Church on Dowling Street was kind enough to share their facilities and allow the South Wesley members to hold worship services in their building. 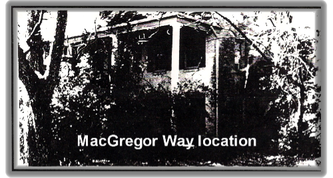 Continuing to hold up the bloodstained banner, in 1963, the church purchased another location at 2200 MacGregor Way at Almeda. Several pastors served during the next ten year period. The church then purchased property at the corner of Airport and Martin Luther King Boulevards in the South Park area of Houston. St. Luke A.M.E. Church, located at 10103 Ashville, allowed South Wesley to hold services in their church in the interim. Some months later Riverbrook Baptist Church moved into a new edifice, and South Wesley became tenants in their old edifice. The final note on the property was paid off. It was then time to place a church building on the site at 5520 Airport Boulevard. In 1980, under the pastorate of Rev. Johnny E. Jennings, the Presiding Prelate of the Tenth Episcopal District, Bishop Henry W. Murphy, held the groundbreaking ceremony for our current edifice. Bishop Murph, Presiding Elder Leland Jenkins, Presiding Elder X. L. Williams, and Presiding Elder O. L. Dawson helped the members lay two cornerstones in an April 12, 1981 ceremony. Numerous furnishings and improvements were made to the new sanctuary and a storage house and garage were added. As the church continued to grow at the 5520 Airport Boulevard site, a foundation was laid and the drywalls were constructed for the fellowship hall. In addition, the church mortgage was paid off with a mortgage burning service attended by Bishop Robert Lee Pruitt. Later, a groundbreaking service for the fellowship hall was done with the assistance of Bishop James H. Mayo. South Wesley continued the building project. The final note for the initial phase of the fellowship hall was paid off. The internals in the fellowship hall were completed, and the building was dedicated by Bishop John R. Bryant on March 28, 1999. Furnishings for the fellowship hall were purchased to add to the beauty and usefulness of the building. A lighted sign was purchased to help lead the way to South Wesley. In the most recent years, Rev. Kevin Bullock pastored South Wesley. Airport Boulevard, the dead end street which had opened in prior years with through access from Highway 288 to William P. Hobby Airport, allowed the membership to continue to flourish. 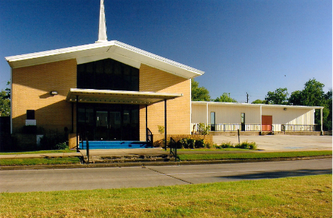 In 2004, the phase 2 note on the fellowship hall was satisfied and a ceremony to extinguish the note was held with Bishop Gregory G. M. Ingram officiating. In October 2009, under Rev. Bullock, South Wesley, for the first time ever, successfully hosted the Sixth Session of the Texas Annual Conference with Bishop Gregory G. M. Ingram presiding. History was made during this conference when one of the long time members, Sister Fannie Williams, was consecrated a Deaconess by Bishop Ingram. In November 2010, Rev. Hunt L. Harris, Sr. was appointed pastor of South Wesley. Being a praying man, he affectionately called the church “The Garden of Prayer.” Under the encouragement of Rev. Harris, the church continued to be a beacon of light to the community. The church went through struggles and challenges from its humble beginnings in the Third Ward section of Houston to the present day. The properties secured and the mortgages burned, the church is finally alive and well on Airport at Martin Luther King Boulevards. On November 15, 2014, The Rev. Brenda Payne was appointed to South Wesley during the Tenth Episcopal District Planning Meeting in San Antonio, TX by Bishop Vashti Murphy McKenzie. This history making appointment gave South Wesley its first female minister to serve this waiting congregation. Rev. Payne brought with her an obvious love for people, the church and the Lord. She showed her eagerness to teach and encourage the congregation to serve the surrounding community through outreach, community walks and revivals. Rev. Payne was elevated to Presiding Elder after one year at South Wesley. ​At the next Planning Meeting, in November of 2015, Rev. Ralph V. Martin, Jr. was appointed pastor of South Wesley. Rev. Martin had an anointing that brought the disciples into the Word in a powerful and sometimes humorous way. He was a great teacher of the Word. Under his leadership, the church made some repairs to the facilities and organized a Senior Ministry, Brothers and Sisters in Christ (B.A.S.I.C). Rev. Martin served for only two years before the mandated retirement age of the A.M.E. Church. On November 18, 2017, Rev. Mary (Edwards) Reed was assigned to South Wesley. Rev. Reed was ordained as an Itinerate Elder of the African Methodist Episcopal Church in 2003. She greeted the members of South Wesley with excitement and enthusiasm and is ready to move towards excellence and take the church to a higher level. Please join us each Sunday at 8:45 a.m. for Sunday School followed by 10:00 a.m. Worship Service. Throughout the week, we have Bible Study at 6:00 p.m. on Wednesdays. 1991 – 1999 Rev. Earl Foster, Jr.
1999 – 2010 Rev. Kevin L. Bullock Sr.
2010 – 2014 Rev. Hunt L. Harris, Sr.
​2015 - 2017 Rev. Ralph V. Martin, Jr.